Against Child Trafficking French Minister: C’est fini! 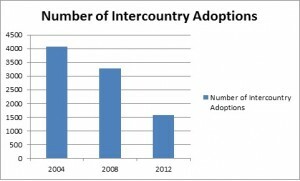 Intercountry adoption is finished! A large number of issues was dealt with: the 150.000 children in the French child protection system, in residential care or foster care. Most of these children cannot be adopted, as the link with their family is maintained. A Haitian adoptee was interviewed about his experience. He strongly condemned intercountry adoption, describing it as ‘dying and having to become someone else, as cultural uprooting. It would be better to help children grow up in their country. Then the re-homing of children in the US was shown. The internet underground; a Christian older couple that re-homed children from all over the world whose adoptions had disrupted. Moving on to Spain, the forced adoptions under the Franco regime. Babies declared dead at birth and given for adoption, involvement of the church. Stolen children. So, according to the French Minister, the current intercountry adoption system is finished. But there are some 23.000 French families on the waiting list. Therefore now a new Bill is in the making: by allowing ‘simple’ adoptions of the children in French public care (meaning link with family will not be broken). Again, it seems, that the demand for children is the driving factor for ‘change’.